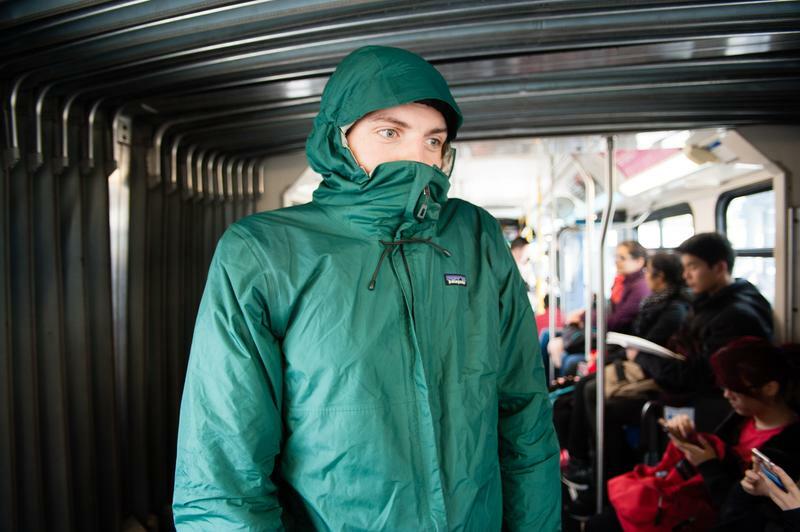 A tried and true method for keeping yourself dry in the months to come. You’ll be able to keep your hair styled perfectly, keep your shirt dry and keep your backpack from getting soaked. There’re many different types of umbrellas to choose from: there are the tiny ones that fold and fit snugly into your backpack, the one you accidentally stole from a mall in Abbotsford, the weak ones that will be torn to shreds when a slight breeze makes its way to you, and finally the large golf ones that people use to poke you in the eye and claim space on the sidewalk. By far the most common method to avoid getting wet is a good quality rain jacket. They come in all shapes, sizes, colours, styles and brands. Make sure you get a jacket that is actually waterproof and not water resistant. There’s a huge difference and it’ll keep you from getting soaked to the bone as soon as you step outside. If you bike or skateboard to campus, it may be a good idea to get something with reflective parts so that you can be seen by drivers and pedestrians. I’m not talking about something you saw in the latest Yeezy collection, I’m talking about something rugged and warm that you can wear to keep your socks dry and your toes toasty. Boots will keep your pants dry when you walk across the giant puddles on Wesbrook Mall — and keeping your feet dry is an incredibly important aspect of keeping yourself warm throughout the winter. Your boots will make the difference between being dry enough to deal with the elements or giving up in the Koerner basement in between classes. Our number one tip for keeping dry this winter is so sweet and simple you’ll wish you thought of it yourself: don’t go outside. Simply keep warm under a blanket and take distance ed classes until next summer.